The Department of Water and Sanitation (DWS) briefed the Committee on Acid Mine Drainage (AMD) and its implications to ground water, rivers and dams. AMD was associated with gold and cold mining when water reacts with ore body and becomes polluted. It arises during active mining characterized by water with low pH, high salinity and dissolved metals. AMD is usually unsuitable for the environment. The DWS pointed out that AMD was considered one of the greatest environmental challenges as it impacted water security and had emerging impacts on drinking water. Fragmented legislation between various departments was a particular challenge. Recommendations approved by Cabinet included prevention of decant by pumping underground mine water to protect ECL; implementation of ingress control to reduce flooding rate and eventual decant and pumping volume costs; Treatment of AMD and water quality management; improved monitoring; monitoring of other AMD sources within Witwatersrand; investigation and implementation of an environmental levy on operating mines to help cover the costs of mining legacies. The progress in the Western and Central Basins was outlined. The immediate solution in Western Basin included eradication of surface decant within three months of commissioning the immediate solution, and AMD discharge was neutralised. In the Central Basin, the short term solution progress included pre-site preparation on a shaft, construction of clarifiers and sludge thickeners, pump station construction and reactors for dissolved metal removers and clarifier. In addition there was ingress control, implementation of the "polluter pays" principle, imposition of environmental levies and monitoring and research pilot studies. The feasibility study for a long term solution had been carried out in a parallel process, and this was looking at removing salinity, monitoring, technical considerations and procurement. However, this was something yet to be presented to and decided upon by the Minister. It later emerged, in questioning, that a proposal had been put forward that had been rejected by the DWS, largely because it would have required that Department to depart from procurement processes. A list was provided of mines operating without water use authorisation. 104 mines were identified using water unlawfully, 81 mines were investigated, 23 were in process of being investigated, and 43 pre-directives were issued against mines. The Committee expressed concerns on the imposition of the environmental levy and questioned its impact. Members also required explanations on why the Department rejected the proposal by the Chamber of Mines. The Members asked if there were cheaper or more effective technologies available for purifying water, and questioned whether it was really necessary to erect huge plants. They asked how the different government sectors dealt with remedial action, commented that it was largely the mining industry that was responsible for pollution, asked about water licences. Concerns remained about communities having access to clean water and one Member cited ongoing problems at Giyani, where the Minister (whose absence from this meeting was also questioned) had opened a new project, but where surrounding communities still suffered. The Committee asked how the departments were addressing the fragmentation of legislation, asked which mining companies were operating without licences, and asked for assurances about the quality and availability of water, given the suggestion that the country might be headed to desertification. The Chamber of Mines (COM) also briefed the Committee on mining and the environmental and sustainable development challenges. It was explained that COM provided an advocacy role to its members, tried to improve industry performance and deal with the legacies of the past. The historical and current contexts, the positive and negative effects of mining were set out. It was indicated that this was a sector influenced by politics. The effects on labour relations, socio-economic development, occupational health, safety, and corporate policies and regulatory shortcomings were discussed. It was also pointed out that the mining industry led to creation of new towns, building of the economic infrastructure and manufacturing capacity and financial services, and skills demands led to research. It was pointed out that government had required the industry to develop long term sustainable solutions to mining. A section 21 company had been established and it was contracted to find solutions. The mining industry made submissions and answers to the feasibility study, and this attempted to define the scale of the problem, in terms of quantity and quality, and consider some of the options, along with suggestions to prevent future legacy issues and responses to the inter-ministerial report. The responsibilities for mine water and derelict mines were set out, but it was noted that the State also explored opportunities for private-sector participation and authorisation holders impacted upon by other holders were assisted. It was suggested that innovative approaches were needed. This would include considering some regulatory flexibility, improvements to environmental performance measures, consideration of social licences to operate mining companies, better monitoring and enforcement and requirements that government departments must cooperate and align regulatory processes. Members noted the comparisons of effects, but some stated that they were not convinced and that some of the comments amounted to little more than an attempt to obfuscate and persuade the Committee whereas not enough emphasis was placed on the ill effects. They stressed that the negative impacts on health, environment and social conditions could not be overlooked. Members asked that there be further explanation on the way that the Chamber of Mines could assist government with AMD, and felt that not specific enough proposals had been given. They wanted more detail on the negative impacts on labour relations and what was being done to compensate ex-mine workers suffering from illness. It was noted that the Committee would be paying an oversight visit, and would also be having public hearings on vandalisation and water use later in the month. Ms Mahdiyah Solomons, Committee Secretary, read an apology from the Chairperson, Mr M Johnson (ANC) and asked that an acting Chairperson be elected in the absence of the Chairperson. 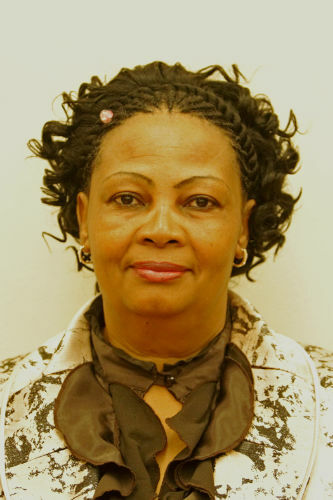 The Committee members unanimously nominated Ms J Maluleke(ANC) as the Acting Chairperson. She thanked Members, and read out the apologies from other Committee Members, as well as from the Deputy Minister of Water and Sanitation. Ms Margaret Ann Diedricks, Director General, Department of Water and Sanitation, commented that the President had established an Inter ministerial Committee (IMC) in 2010 to deal with the matter of Acid Mine Drainage (AMD), given the fact that the problems that this raised extended across a few departments, not just Department of Water and Sanitation (DWS or the Department). The IMC was co-chaired by the Ministers of Mineral Resources (DMR) and of Water and Sanitation. She noted that the problem with AMD was a legacy issue that started 120 years ago with the advent of mines. There were issues of AMD in other provinces apart from Gauteng, including Limpopo, which would be elucidated in the briefing. The IMC was supported by the technical task team chaired by Ms Diedricks, who was assisted by the DMR and the Department of Environmental Affairs (DEA), with representation from National Treasury (NT) also. It started with an emergency intervention with three basins - Western, Eastern, Central basins. There had been instances of decanting in the Western part of Johannesburg. The emergency measures were to pump out the water so that it reached acceptable levels and to neutralize the water. The IMC had stopped short on the issue of dissemination, but was now at the point where it would like to take the interventions to the next phase of dissemination. The IMC was looking at the appropriate technology to do that, as AMD was very expensive. The Chamber of Mines would also its contribution around AMD. Mr Marius Keet, Chief Director, Department of Water and Sanitation, briefed the Committee on AMD and its implications to ground water, rivers and dams. AMD was associated with gold and coal mining when water reacted with the ore body and became polluted. It generally arose during active mining characterised by water with low pH, high salinity and dissolved metals. AMD was usually unsuitable for the environment. It was considered one of the greatest environmental challenges; impacted on water security; and there were emerging impacts on drinking water. One of the major problems was the fragmented legislation between various departments that did not allow for easy control of the problem. - Investigate and implement an environmental levy on operating mines to help cover the costs of mining legacies. He then set out the progress on the emergency works phase (see attached document for full details). Western Basin: the immediate solution progress included eradication of surface decant in the Western Basin within three months of commissioning immediate solution. There had been neutralisation of AMD discharge to environment. Central Basin: the short term solution progresses included South West Vertical (SWV) shaft pre-site preparation, construction of clarifiers and sludge thickeners,pump station construction and reactors for dissolved metal removers and clarifier. Parallel measures for AMD mitigation included ingress control; the adoption of the ‘polluters’ pays’ principle; an environmental levy and monitoring and research pilot studies. The feasibility study for long term solutions had also been done. Here, there had been a parallel process as per Cabinet instructions, to identify long term solutions to remove salinity. The planning study was based on existing information, monitoring initiatives, technical consideration, and financial procurement models. Finally Mr Keet set out the status quo of mines operating without water use authorization (from July 2014 to October 2014). 104 mines were identified using water unlawfully, 81 mines were investigated, 23 were in the process of being investigated, and 43 pre-directives were issued against mines. Mr Nikisi Lesufi, Senior Executive, Chamber of Mines, briefed the Committee on mining and the environment linked to challenges of sustainable development. The Chamber of Mines (COM) provided an advocacy role to its members. It was a catalyst for industry performance improvement, and dealt more effectively with legacies of the past and developed a positive contribution model by putting South Africa first. He set out some of the historical and current contexts of mining (see attached presentation) and reminded Members that mining was an integral part of South Africa and politics heavily influenced the sector and its players. Negative legacies included labour relations, socio-economic, occupational health and safety issues, regulatory inadequacies and corporate policies. Positive legacies included the fact that discovery of mines led to creation of new towns, that demand for minerals led to the building of South Africa’s economic infrastructure, manufacturing capacity and financial services. Demands for skills led to the establishment of learning and research institutions. Again, mining essentially served as the backbone of South Africa’s economy and facilitator of its development. He noted that the Chamber of Mines was also involved as a partner in the response to AMD. The industry sector was instructed by the government to develop a long-term sustainable solution. In response to government instructions, the mining industry had achieved some initiatives. The industry established section 21 companies, including the Western Utilities Corporation (WUC) and contracted WUC to develop solutions. The mining industry, through WUC, submitted the first class feasibility study and stakeholder engagement which essentially entailed a definition of the scale of the AMD problem-qualities and quantities. Multiple options were considered, including steps for the prevention of future negative legacies and initiatives in response to the IMC report. In the area of mine water management, it was noted that ownerless and derelict mine sites were the responsibility of the State. However, the State was exploring possibilities and opportunities for private sector participation. Authorization holders impacted by extraneous water would be given assistance from the State. He concluded that innovative approaches to legacy sites should be taken. There was a need for some regulatory flexibility. There was a need for improved environmental performance which included social license to operate mining companies, monitoring and enforcement by the State and obligations of government departments to cooperate and align regulatory processes. Mr L Basson (DA) commented that he got the impression that the players were "playing games" in this situation. He disagreed with the assertion of the COM that is was the government’s responsibility, as the mining industry firms were the ones making money from mining at the same time as they were polluting the streams and rivers, and the environment was suffering all along the line. The question of the environmental levy to be imposed was in the public domain at the moment. He asked if the mines were having discussions with the government on the impact of environmental levies, and how this would be imposed. He pointed out that other industries were not polluting our water streams to the same extent as the mines. He asked why government had to be constantly on the back of the mining companies, as they very well knew what was right and what should be done. He commented that the Chamber of Mines was meant to help government close down mines that were not in line, and was wrong of it to suggest that this should be left to the government to sort out. Mr Lesufi replied that environmental levies required further motivation. Mr D Mnguni (ANC) commented that some slides on the benefits of mining appeared to be punting the incorrect approach. Whilst they stated that minerals were indeed helping the country in some ways, it should not be suggested that this was enough to make government and the people keep quiet about the the hazards to the environment. The mines must appreciate that South Africans needed a healthy, clean environment in the country. He asked what role the Chamber of Mines wanted to play to keep waters safe from AMD pollution and how it wanted to help the already catastrophically-affected environment and future environmental hazards. He asked how the COM intended to help the government with AMD. Mr Lesufi responded that work was being done through the strategic water partners' network, that took a collective approach with dealing with marine water management. A study was being conducted, using the coal field as a base area to look at the mine water management on a collective basis. A system was being put up to purify water from AMDs. He added that there was a joint approach towards pollution control. Mr Lesufi replied that the Chamber of Mines would cooperate with the Department on the new proposal tabled by the Department. The Chamber wanted a proactive approach where each closure was properly planned, with responsibility apportioned, so that each individual company exited fully knowing what it should do and the impact it was leaving behind. Ms N Bilankulu (ANC) commented that it was difficult to follow the presentation as the slides were not numbered, and hoped that subsequent presentations by the Chamber would be numbered. Mr T Makondo (ANC)expressed concern that he could not get any concrete proposal from this presentation as to how the Chamber intended to assist in the problems from AMD. He disagreed with the Chamber on the assertion that mines had played a critical role in our society and had created infrastructures and so on - and he termed this "blackmailing and intimidation", pointing out that there were a number of negative effects that this industry had created in communities where it mined, that were not limited to AMD. For instance, people were dying from diseases from mining environments. He disagreed with the principle that people must die because the departments failed to respond to proposals. He asked what exactly were the issues that led to the DWS not approving of the proposals made. Ms Diedricks agreed that the Committee need to have sight of the proposal in order to understand why it was not approved. She added that government was governed by procurement legislation. This proposal suggested the appointment of a specific company without following any legal procurement process . She was not allowed, as an accounting officer, to agree that a particular company be appointed, as an open and fair process would have to be followed. Huge government resources were required to deal with the issue. A number of members had raised points about the commitment that government had to make in a legacy that was not caused by itself, but by mining companies, and there was a need to be transparent on how funds were utilised. The company did not have any take off agreement with anybody with regard to the water that would be utilised. It seemed that it merely wanted financial support from government and for that reason the Department rejected the proposal. Mr Lesufi replied that his slides were not intended to blackmail or intimidate, but he had rather wanted to stress that there were positive, but also negative effects of mining. The country did need the products of mining. The purpose of the slide was to indicate the faith that the Chamber of Mines had in mining industries, and to indicate that the country and industries had a chance to modernise. He added that there were some authorised mining companies with the sole responsibility to act in a responsible manner; where there was no one to hold accountable, and here, the Chamber of Mines would form a collective entity to partner with them in those area where there was no partner for government engagement. Mr Basson commented that the Reverse Osmosis technology was new and in Mpumalanga some of the mines had put certain plants on ground. He asked if there was a cheaper method of cleaning the waters, and if it was really necessary to build these huge plants in areas where there was pollution. He would like to see the proposal that the mining sectors had made to the Department, and why it was rejected by the Department. Mr Marius Keet replied that the reverse osmosis was the preferred technology at the moment and it was not possible to make money from AMD. The Department was aiming at passive treatment systems so that water flowed through a system. Mr Mnguni asked about the impact of AMD on GDP. Looking at the short term and long term management of AMD, he commented that there was no clear point of the sustainability management intervention. He asked if the Department could comment on this initiative, that would enable South Africa to have a sustainable management. The State was playing a role in shouldering the financial cost of AMD. He asked for the action plans on how to monitor the issue of AMD. Ms Diedricks commented that dissemination process was a long term solution and the IMC was now at the point where it was convinced that neutralisation was possible but a large quantity of water was needed to deal with it, hence the need to find a technology to disseminate water. There were various technologies available. However, the Minister wanted to get a presentation in November from all role players, in order to help make an informed decision on the technology to decide on, as some of the technologies were insufficient and expensive. Mr Keet added that the short term solution started immediately, with an emergency action plan. The long term implementation required a feasibility study to ensure that the best method was used. There was a monitoring committee, chaired by the DWS, and with input from other relevant departments. Ms N Bilankulu (ANC) asked how different spheres of government remediated streams adversely affected by AMD. She asked if the relevant stakeholders provided details of the numbers of streams rehabilitated and the progress on each. Mr Keet replied that all the different spheres of government had been contacted. There were committees in the Eastern and Western basins. Mr Makondo asked if mining companies operating in the Western and Central Basins had water licenses. He asked what the Department intended to do with other sister departments to address the problem of AMD and how to bring the legislation together in order to address the problem of fragmentation. He added that the perpetrators did not care about the AMD pollution. He asked how the Lesotho water project would assist if funds were directed to fund AMD, while the perpetrators enjoyed profits. Ms Diedricks commented that the departments reached an agreement on how to structure themselves on water applications. She said she would discuss with other Director Generals, that before awarding licenses an agreement must be reached with other departments. She suggested that the Chamber of Mines should also not deal with an individual application without considering who was in that particular region. Her Department had already established nine regions, so that there was a regional agreement on the impact on the environment, so that in the event of a mining company withdrawing the other departments would be able to indicate and would be able to monitor, together with the DEA. She commented that wherever possible, the legislative amendments must be made, particularly to isolate and lift out the various responsibilities that were entrenched in different pieces of legislation. The monitoring and regulation units must ensure that they met those legislative requirements before licenses were issued. The region must monitor periodically, and constantly the compliance with the requirements must be set. In the case of the DWS, it would be necessary to work closely with the Departments of Mineral Resources and Environmental Affairs, to ensure that the green scorpion and blue scorpion compliance units were able to pick up swiftly on any problems. The parties must be proactive so that mining houses would be able to adhere, and must be able to prevent them from worsening our situation. She added that for this, a mixed financial model was needed, to deal with the financial implications and cost recovery processes. With the assistance also of the Chamber of Mines, the perpetrators must not be allowed to get away from complying with their responsibilities. There was a response that different departments had different mandates. There was an intergovernmental framework which talked about cooperative governance, where different departments must work together. The departments had an agreement on the authorisation of licensing process on a quicker time line. Three departments had amended their legislation to provide for quick timelines and there was a collaborative approach to the inter-ministerial task team. Ms M Khawula (EFF) expressed displeasure over the continued absence of the Minister and Deputy from the Committee meetings. The Minister was seen on the television, along with the President, launching a water project in Giyani. He was seen testing and drinking water, yet the people of Giyani called her often to complain about lack of water in Giyani. She said the meeting could even be construed as a waste of time, as whatever the Department claimed, water was not actually reaching the masses. The Chairperson replied that when apologies were read out for the absence of the Minister, the reasons were usually stated. She added that he Minister was attending a congress, which was the reason for the absence from this meeting. However, the Minister could be invited by the Committee at any time to answer to specific points. Mr M Shelembe (NFP) commented that it was now the Fifth democratic Parliament and the issue of pollution to our water pipes, and mining was still being discussed. He wanted something convincing to be put forward on a permanent solution to the water pollution problem, so that it would not not be transferred to the Sixth Parliament. He commented on the negative legacy on labour relations and asked if there was still such a problem with regards to labour in mining, and what was being done to address the right of people to access clean water. Ms Diedricks commented that the issue of AMD became a big issue around the second term of democracy, and there had been quite some time spent on researching it. Many people wanted to sell ideas on how to go about it. The first indications were that dealing with the problem would run into a cost of millions of rand. Government decided that there should be an inter ministerial committee that indicated how the problem should be moved forward. The issues of mineral, water and licensing were inter-linked, and the existing legislation allowed government to work across platforms, and when there were strategic infrastructure commitments made, it was recognised that the work of one department may impact on others. Mr Lesufi replied that mining in the past had negative legacies from labour practices of the past. Workers needed to be compensated accordingly. Ms Balindlela asked for the list of numbers of mines operating without water licenses. She added that some research indicated that there was a possibility that the country was headed towards desertification, and she wondered if there was enough water. She commented on the sad situation of many people who worked on the mines, pointing out that there were many people suffering from various diseases and after effects of mining. She asked when compensation was likely to be paid; many of them had already died in the meantime. Mr Lesufi replied that the Chamber of Mines had taken a view that if there was any way of making a difference, it would do so. If a worker was discharged on the ground of medical incapacity, he would claim from the Compensation Commissioner. The Chamber had put in resources to put up one medical centre in various places around the country in order to capacitate the Department of Health and improve its IT system. Another delegate answered that the Department had actual figures of mines operating without licenses and it would come back or a presentation on it. The Chairperson commented that the list of mines operating without water licenses would be raised at the next presentation from the DWS, on the status quo. The country had to deal with the water issues challenges. Mr Mnguni required clarity on the potential and future effect of AMD on land use. He added that acid water was poisonous, and asked for the health hazard impact in near future if it got into the rivers. Ms Diedricks replied that an emergency process was instituted on purification and neutralisation. Purification removed heavy metals and other contaminants. Dissemination was not the optimal solution, because of the large quantity of water, and although it was able to neutralize the salt level, this was not a long term solution. More of the salinated water would be pumped, hence an additional process of dissemination was required. The final decision on the long-term solutions would be taken later this month by the Minister. Mr Marius Keet replied that all water resources had some resilience and could by themselves over time treat AMD to a certain level, but not raw AMD. Ms Balindlela hoped the Chamber of Mines would provide information about the ex-workers and said she still needed assurance that desertification would not happen in the near future. Ms Khawula required explanations on the issue of dumping and river pollution. She said that she also wanted a full explanation required about the water scarcity in Giyani, particularly in light of the water project launched by the Minister. The Chairperson advised that the Minister would be written to for routine questions. The Chairperson thanked all participants, and said the meeting was trying to ensure that people would get clean water. She hoped that feedback would be sent on mines that were not complying. There would be an oversight visit on 27 November to check the progress of some mines. In November the Committee would be holding a public hearing on vandalisation and theft of water in the country.